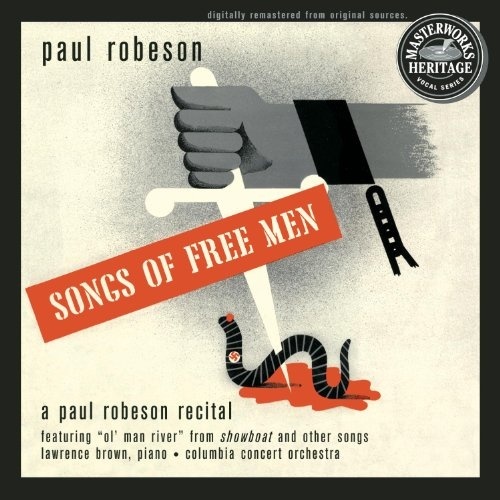 Culled from six concerts given in the 1940s, with most of its tracks previously released on 78-rpm albums in that decade, this disc, as annotator Paul Robeson, Jr., notes, presents Paul Robeson at the peak of his singing career (from age 44 to 49) and re-creates a typical recital. Robeson sings spirituals, folk songs from various countries in various languages, classical pieces, and theater music, including works by Felix Mendelssohn, Marc Blitzstein (a brilliant "The Purest Kind of Guy" from No for an Answer), Earl Robinson, George Gershwin, and, of course, Jerome Kern and Oscar Hammerstein II ("I Still Suits Me" and "Ol' Man River" from Show Boat). Robeson is accompanied by his usual pianist, Lawrence Brown, on the first 17 tracks and by the Columbia Concert Orchestra on the remaining eight. The sound quality is remarkably clear, showing little evidence of the 50-year-old (and older) sources. As a result, Robeson's amazing bass-baritone is revealed in all its power, as is a sense of enunciation and presentation that perfectly suits a wide range of material. Released shortly before Robeson's centenary, this album is a fitting tribute to him.